Master & Dynamic's swappable earpads make it easy to switch the style up. When it comes to buying new headphones, you typically have to choose between on-ear or over-ear before you make a purchase. And once you do, that's your option. Sure, there are few companies that offer the ability to change between the two styles, but that functionality is far from the norm. As of today though, you can add Master and Dynamic to that list. With the MW50+, the company lets you change the earpads on its MW50 wireless on-ear headphones to make them an over-ear set in a matter of seconds. The earpads on all of Master & Dynamics headphones, both wired and wireless, can be removed, so including a second pad to change the wear style makes a lot of sense. Those pads are held in place with magnets and easily snap on and off when the time comes. That doesn't mean the parts aren't secure though, as they stay in place without the slightest wiggling around. The MW50's stock earpads are closed and rest on the outside of your ear. With the MW50+, a second set of open over-ear pads are in the box so you can switch between the two whenever you feel like it. The are no changes from the MW50 to the MW50+ except for the extra earpads. You'll still get 40mm Beryllium drivers, Bluetooth with aptX, USB-C charging and up to 16 hours of battery life. As is typically the case with M&D wares, the MW50+ also keeps the same mix of leather, aluminum and lambskin for a more refined look than a lot of other mostly plastic headphones. Sure, that added style is reflected in the price, but there's no denying the MW50/MW50+ aesthetic is more sophisticated than any of the all-plastic competition. If you've already splurged for the MW50, don't worry: Master & Dynamic plans to sell a set of over-ear pads in the near future. Exact availability and pricing is still in the works, but the option is coming. The company also recently announced USB-C and Lightning cables for its line of headphones. This means that if your phone doesn't have a headphone jack, you can still use the M&D wired sets, or the wireless ones if your battery runs out. A number of companies allow you to remove the earpads to either clean or replace them. Being able to take those components off is certainly nothing new, and it's not a new function for Master & Dynamic either. However, the ability to change wear style out of the box is far from the usual, but there are options out there. 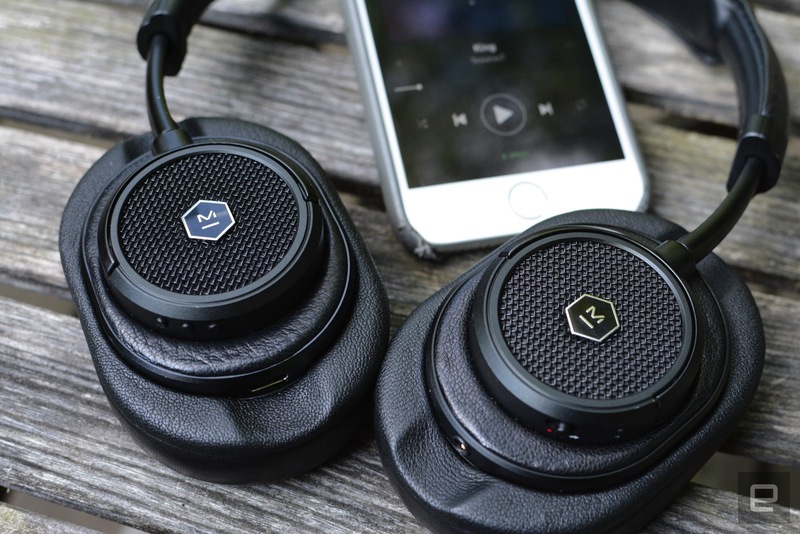 The likes of Aiaiai allow for it, but that company offers fully modular headphones that allow you to swap out a lot more than just the earpads. With the TMA-2, there are several options for speakers, headbands and cables in addition to on-ear and over-ear pads. 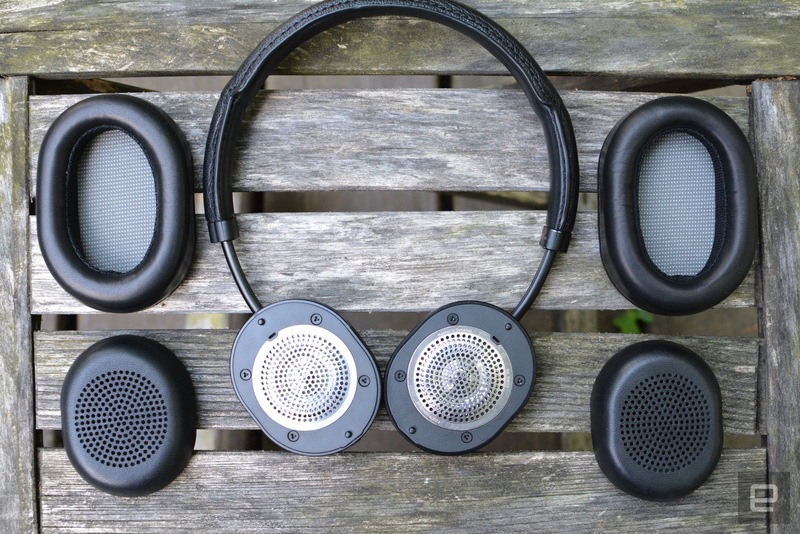 It's pretty much a build-your-own set, including the ability to buy all the spare parts you want -- including a wireless headband for adding Bluetooth connectivity. The MW50+ is available for pre-order today from Master & Dynamic for $399 -- $50 less than the MW50 at full price. The MW50 had been discounted to $349 for a couple of weeks, but now the MW50+ is replacing that model entirely. At launch, the set will be available in brown/silver, black/silver and all black color options, but if the company's past is any indication, more colors should arrive later on.